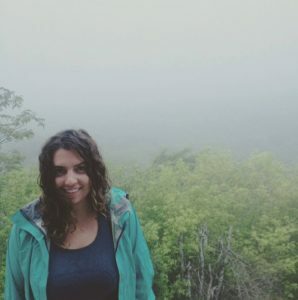 Rebecca Kauffman recently joined the Environmental Law Centre as staff counsel, and we want to introduce you to her and the work she is undertaking. Rebecca is a born and raised Edmontonian, who graduated law school at the University of Alberta. She also spent a year and a half working at a family law firm in Edmonton, prior to beginning with the ELC. After completing her undergraduate degree in Political Science, Rebecca was fascinated with how sound public policy can improve society and she always dreamt of working at an NGO and ‘making a difference’. It took many years of study to help narrow down what that may look like and after combining both a political science and legal background, along with more knowledge of the state of the world today, she realized that the true crisis (and opportunity) of our time was the environment. The ELC seemed like the perfect fit, a place to learn and work hard to make real and lasting change for our future. Since joining the ELC, Rebecca has been able to work on the creation of an Environmental Law 101 class for high school students. After many years working at Elementary schools across the city, Rebecca always knew that children and teenagers shouldn’t be underestimated. Recently, while watching the heartbreaking #NeverAgain movement unfold in the United States she became firm in her belief that if you give young people the opportunity to learn, they will be able to make the difference. She is confident that the same will be true with Environmental Law and is excited to get the course up and running. Rebecca has also had the privilege to work on the Caribou Range Planning file, a hot button issue in Alberta. This file has given her the chance to get out of the office and interact with other experts in the field. Along with other Albertan Environmental NGOs, Rebecca hopes to help advocate for the protection of our iconic caribou. Not only because Rebecca hopes that one day her future children will have the chance to catch a glimpse of one of these beautiful animals but also for the overall health and wellness of our province’s environment. Attending stakeholder meetings and advocating for specific policy change has been a great learning experience! When Rebecca is not working, or catching up on all of her Google news alerts set to inform her about anything environmental related, she loves cycling with her partner, cooking and travelling – this summer she hopes to combine these interests and complete the Silver Triangle, a multi-day cycling journey in the Kootenays.